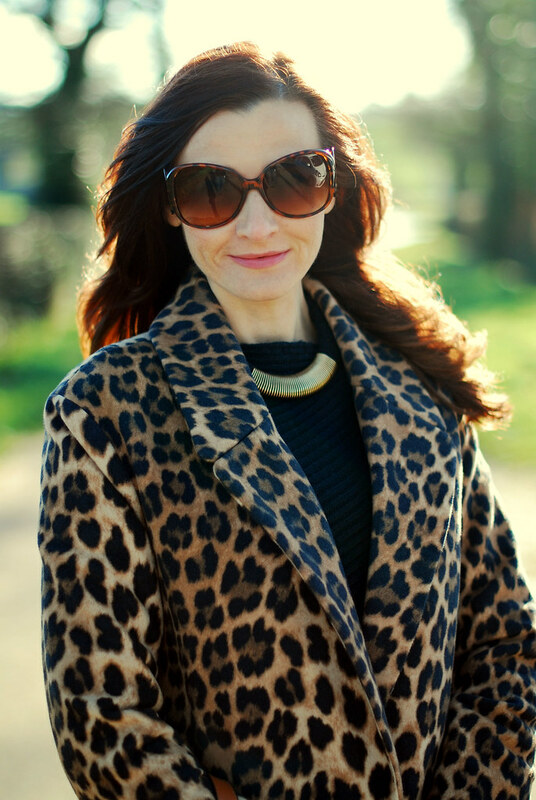 Drum roll please for my new Zara leopard and black coat…! I was absolutely stoked that the coat I’d had my eye on all winter was reduced not once but twice*, so I added to basket without further ado. 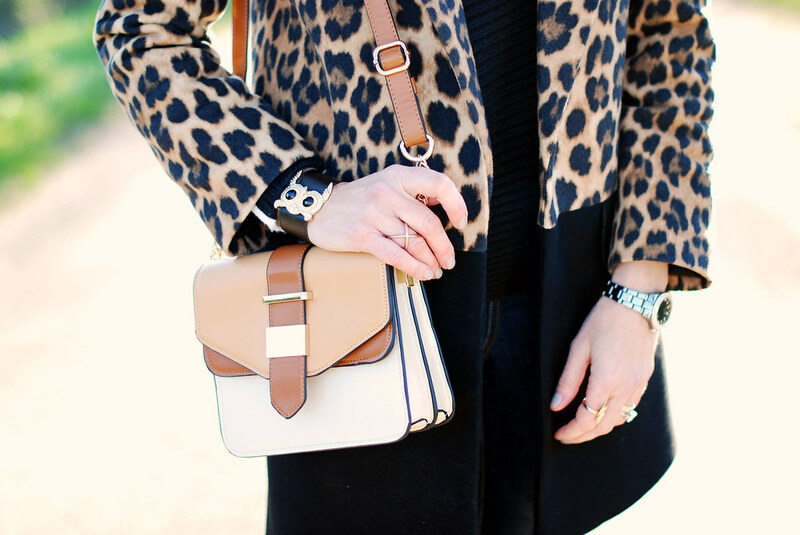 I’ve wanted a leopard coat of some sort for quite a while now, but I’ve been waiting for the perfect one to come along. This was it – all except for the original price tag. 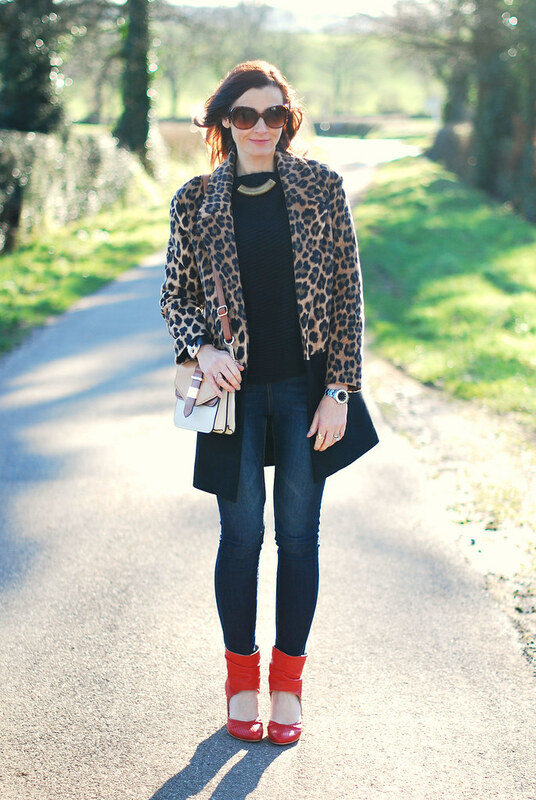 Having a black bottom half makes it looks a bit like a short blazer, so there isn’t total leopard overkill. Just a bit of overkill, that’s all. 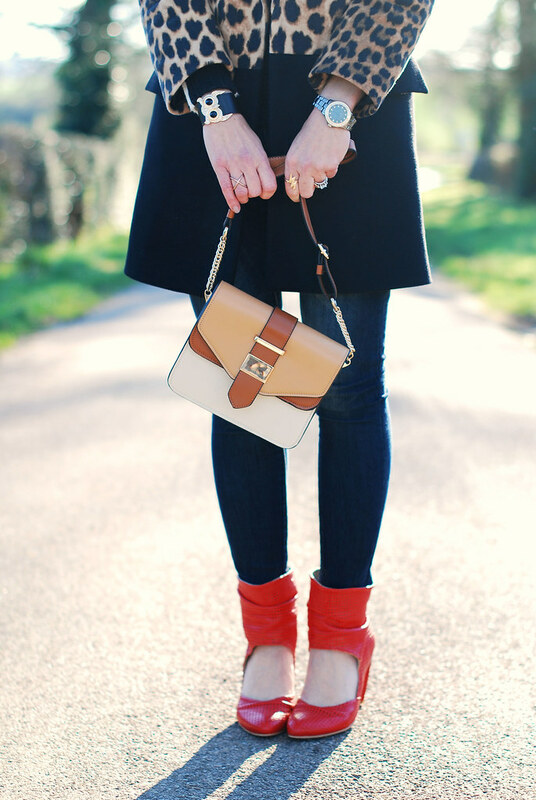 As for the rest of the outfit, it needed an injection of colour via the groovy red booties I find so hard to style (hence their rare appearance on the blog), plus the dinkiest little bag from Accessorize. Some things you just can’t leave in the shop, and this was one of them. It looked at me with its sad brown eyes and, well, you know the rest. Can’t believe I’m trying to justify my spending habits with tales of inanimate objects coming to life and talking telepathically to me. Dear oh dear…! *I’ve checked, and it’s been reduced again, so it’s now half price. Well, I wasn’t going to risk it selling out, so that’s the price you pay to secure it – literally! Amazing coat! LOVE the bag too!